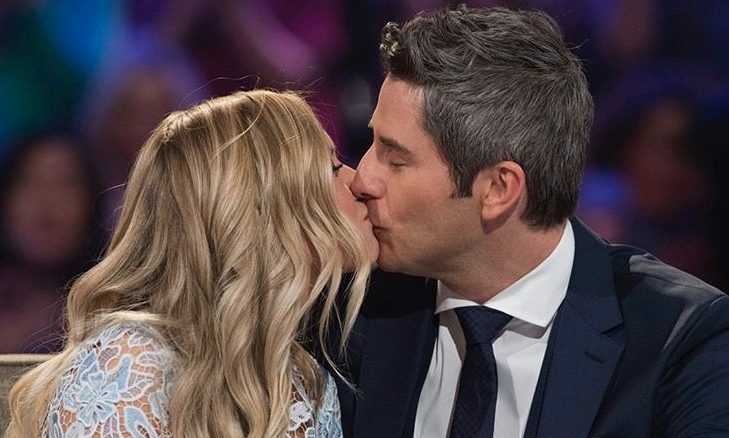 In celebrity baby news, former Bachelor Arie Luyendyk Jr. and fiance, Lauren Burnham are going to be parents. The celebrity couple is tying the knot in January of 2019, and they have been living together in Phoenix since April. “I kind of had a feeling that I might be pregnant. So my friend insisted on bringing a pregnancy test over,” Burnham said to UsMagazine.com, adding that she made her fiancé read the results. “Arie came out with the test in his hand and tears in his eyes. He was like, ‘You’re pregnant!’” The pair is preparing for their upcoming wedding, and practicing their parenting skills on their two dogs. In celebrity baby news, there’s a Bachelor baby on the way! What are some ways to announce a surprise pregnancy to family and friends? 1. Have a big dinner together: Bring everyone in for a nice family get together, and share the news then. It’ll be nice to have the whole family in one place, and that way you can deliver the news to everyone at the same time. 2.Bring up the topic of babies: If babies are already being talked about, it will be easy to mention you’re having one of your own. Slip it in casually, and you’ll definitely get a reaction from friends and family. 3.Make something special for your loved ones: Gather your family together and share something that will lead up to the reveal of the pregnancy. This could be a photo album, a scrapbook, or another keepsake that can help share the news. Have you announced an unexpected pregnancy? Let us know in the comments below!